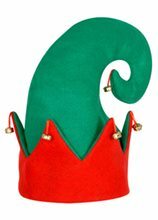 Deluxe Elf Hat.Includes: One Deluxe Elf Hat.Available Size: One Size Fits Most Adults and Teens. 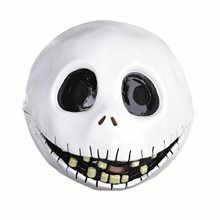 *Costume and Accessories Not Included. Sold Separately.This deluxe elf costume will help you celebrate the holidays year after year! Includes a unisex deluxe velour red and green tunic with red and gold braided belt cord and finished. Halo Feather White;Complete your angel costume with a fun, feathery, fluffy halo. Goodness and kindness will just ooze out of you just by putting this halo on. You may even find yourself bouncing from cloud to cloud.Feather Angel Halo: One size fits children & adults. 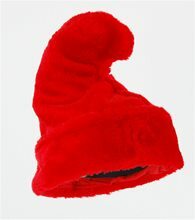 Santa Bopper Headband.Includes: One Red Santa Bopper Headband.Available Size: One Size Fits Most Adults and Teens. *Costume and Accessories Sold Separately.Jingle around your Christmas party wearing this Springy Santa Bopper to show some holiday spirit. This Springy Santa Bopper is a fun accessory to wear for work, home, or banquet-style Christmas theme celebration. 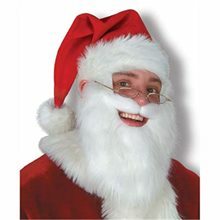 Each package includes one Springy Santa Bopper attached to a felt-covered headband. It's so lightweight, you could even wear it while Christmas shopping. And if you're looking for a traditional Santa Hat, we have those too! 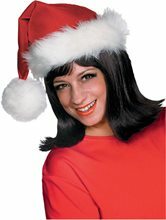 Red tinsel hat measures approximately 7 inches tall from top of headband to top of white pom-pom. Features jingle bells and a plastic, gold Merry Christmas emblem on the front. 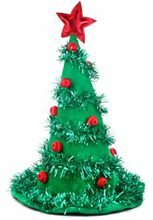 Christmas Tree Light Up Hat.Includes: One Christmas Tree Light Up Hat.Available Size: One Size Fits Most Adults and Teens. *Costume and Accessories Not Included. 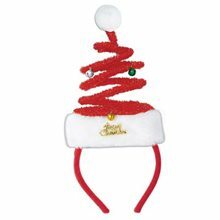 Sold Separately.Features: Christmas balls that light up!Get in the spirit of Christmas with this Christmas Tree Light Up Hat! Made of green felt and tinsel. Features red light-up balls and star. Includes battery and on-off switch. Great hat for any Christmas Party or Holiday event! Felt Elf Hat with Bells.Includes: One Felt Elf Hat with Bells.Available Size: One Size Fits Most Adults. *Costume and Accessories Not Included. Sold Separately.You'll jingle all the way with this fun Felt Elf Hat with Bells. Features a red and green elf hat with jingle bells.